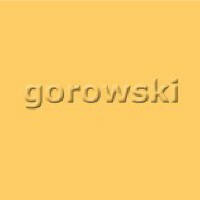 Gorowski has been dabbling in electronic music production for around 5 years, after a long DJing career in the sunny town of Hull, UK. He began DJing and promoting club nights in 1990, and was one of the first promoters to stage live performances from Fila Brazillia, at the Silhouette Club in Hull (1992/3). 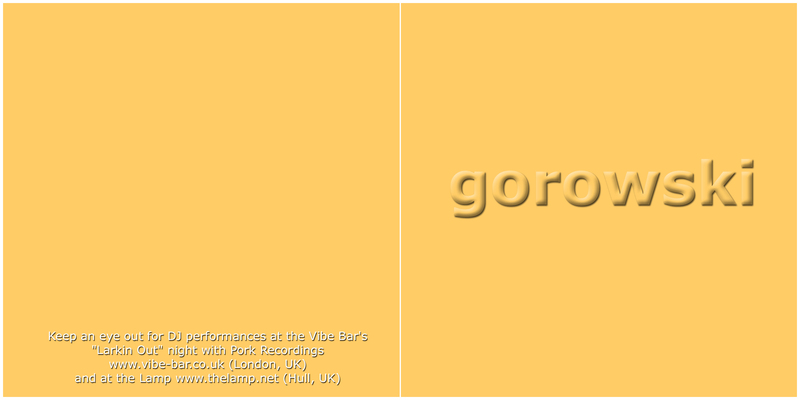 Gorowski maintained contact with the Pork Recordings stable for the next decade and now DJs with the ‘(in)famous’ Porky at the Vibe Bar in London. Gorowski and Porky run a monthly Friday night called ‘Larkin Out’ which has been voted ‘Critics Choice’ by London’s Time-Out magazine on a number of occasions. The night provides Gorowski with an opportunity to play and test out some of his tuneage. It is the positive feedback he has had from some of the public that has encouraged him to continue on this musical haunt. More electronic mayhem to come soon. 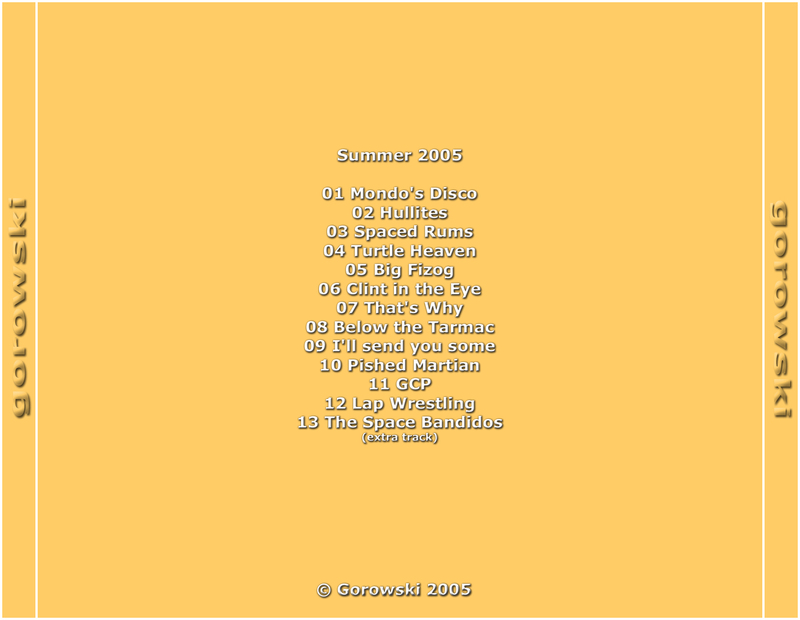 Summer 2005 by Gorowski is licensed under a Creative Commons Attribution-Noncommercial-Share Alike 3.0 Netherlands License.